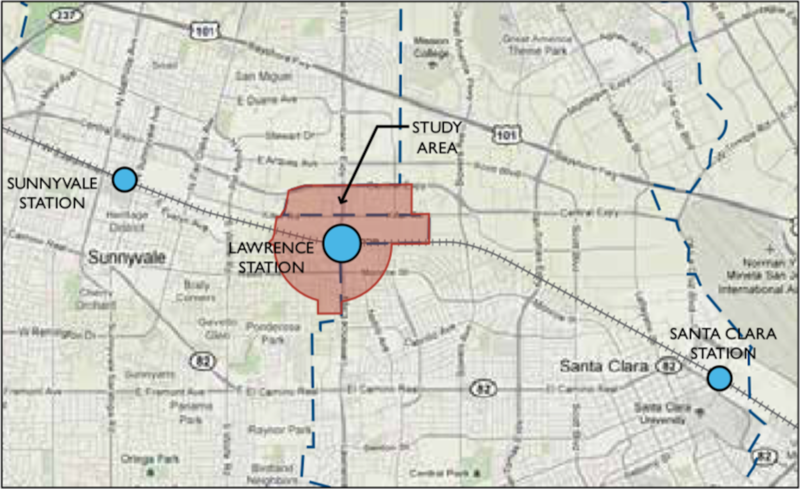 The City of Sunnyvale is undertaking an expansion of its existing Lawrence Station Area Plan, which was originally adopted in 2016 to guide development in the vicinity of the Lawrence Caltrain Station. The plan deals with about 319 acres adjacent to the station, and Sunnyvale is now seeking to expand the western boundary for further housing, office and research and development (aka R&D) opportunities. The plan’s eastern boundary runs along the border between Sunnyvale and Santa Clara at Lawrence Expressway. The plan is expected to be completed by early 2020, if ultimately approved. A 30-day public comment period ended on Feb. 11 for the draft Environmental Impact Report (EIR). As part of efforts to monitor California Environmental Quality Act (CEQA) documents related to development in nearby cities that may impact Santa Clarans, Andrew Crabtree, Santa Clara’s director of community development, sent a letter dated Feb. 11 with comments regarding the draft EIR to a Sunnyvale senior planner. The comments dealt with transportation and traffic concerns. In general, the letter called for further traffic analysis. For instance, it was stated that there will be travel from the project area to employment destinations within Santa Clara, so intersections along Kifer Road, Central Expressway, Lawrence Expressway, Great America Parkway/Bowers Avenue and Arques Avenue/Scott Boulevard should be studied. The letter also requested that a recommendation to implement a lane reduction on Kifer Road be reconsidered as it will result in more congestion in Santa Clara. Analysis was also called for to assess potential impacts on bike and pedestrian facilities. According to Reena Brilliot, Planning manager for City of Santa Clara, Sunnyvale planners haven’t yet responded to the letter, though they did acknowledge receiving it. She anticipates that they’ll respond to the comments during the next phase of the EIR document. 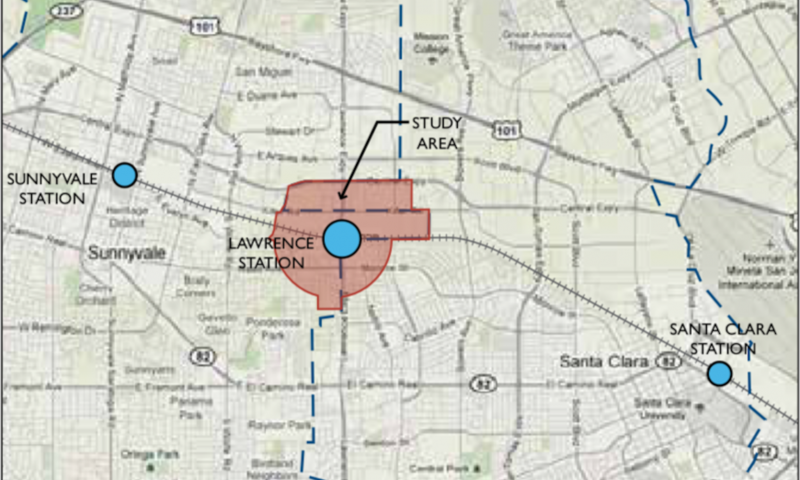 Santa Clara also has a Lawrence Station Area Plan just to the north of Sunnyvale’s proposed project. It was recommended that there be coordination over these two development areas. Furthermore, Santa Clara is currently working on a Creek Trail Master Plan that includes the Calabazas Creek Trail, which runs into the Sunnyvale’s Lawrence Station Area. Coordination was requested on this front as well. Hi there. Thank you for catching the error. It has been corrected. Have a nice day.